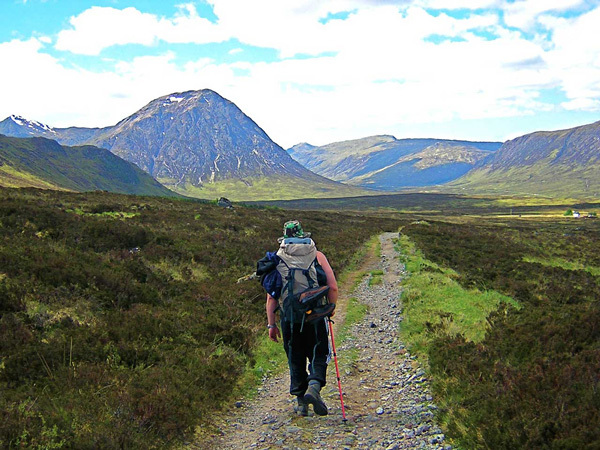 West Highland Way, Scotland’s premier long-distance hiking trail starts in Milngavie, about 30 minutes from Glasgow Airport, and heads north through the highlands to Fort William on the shores of Loch Linnhe, one of the country’s longest sea lochs. The West Highland Way, or Slighe na GÃ idhealtachd an Iar in Scottish Gaelic, follows 18th-century military roads and ancient footpaths through some of Scotland’s most spectacular scenery — the pastoral Loch Lomond, the desolately beautiful swamps of Rannoch Moor, and the Devil’s Staircase through the rocky ridge known as Aonach Eagach — before ending near the base of the highest mountain in the British Isles, 4,409-foot Ben Nevis. Insider Tip: At the end of the hike in Fort William, a historic steam train called The Jacobite — otherwise known as the Hogwarts Express Train for its role in the Harry Potter films — transports guests in old fashioned splendor to the ferry town of Mallaig and back, an 84-mile, startlingly scenic round trip. Alta Via 1, (Dolomite High Route) Weaving through the dramatic Dolomites mountain range, Alta Via 1 is like a “greatest hits” nature tour of northeastern Italy. The rugged trail guides hikers from high-altitude World War I battlefields to towering limestone cliffs, past pristine alpine lakes, vast meadows, and craggy 10,000-foot peaks. The Dolomites may not be the tallest or the most famous mountains in Western Europe, but they are widely considered the most charismatic for their unique geology and photogenic rock formations, and the entire area is a UNESCO World Heritage Site. Alta Via 1 is a backpacker’s dreams, lined with rifugios, or huts, that provide home-cooked meals and a clean bed. Insider Tip: This hike is best done July through September, when the route is free of snow. If possible, avoid August, the Italian summer holiday month, when the path is the most crowded. Dolomite Mountains, a reputable local tour outfitter, can assist with rifugio recommendations and reservations. 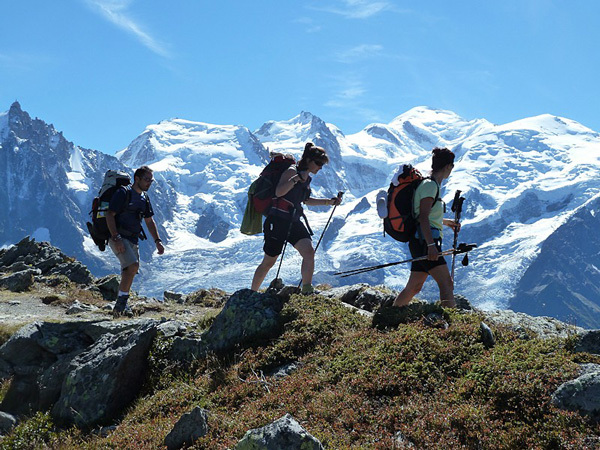 Tour du Mont Blanc, Mount Blanc, the highest mountain in the European Union, has long lured adventurers, not only to its summit, but also to its magnificent valleys that extend into France, Switzerland, and Italy. In that spirit, the Tour du Mont Blanc trail circumnavigates the 15,781-foot massif, crossing through all three countries en route. The trail typically begins and ends in Chamonix, France, and passes through several picturesque alpine villages including Courmayeur, Italy. No camping required — stay in accommodations ranging from high-end resorts to dormitory-style hostels along the way. Insider Tip: The standard route has many variations, depending on your fitness level and sightseeing interests. Consult autourdumontblanc.com to plan your trip. Kungsleden, Located in the extreme north of Sweden, Kungsleden (The King’s Trail) bisects one of Western Europe’s largest remaining wilderness areas. Used by hikers in the summer, and cross-country skiers in the winter, Kungsleden serves up an Arctic dreamscape of glaciers, tundra, and birch forests, as well as 6,909-foot Mount Kebnekaise — Sweden’s highest peak. The long-distance route naturally divides into four one-week segments, making it accessible for even those with limited time. Insider Tip: Camping is permitted along the entire length of the trail. Plus, the Swedish Tourist Association constructed and maintains 21 rustic huts on the route with basic amenities for sleeping and cooking, as well as campsites. Some huts also have small general stores. Laugavegurinn, The name translates as the “Hot Spring Route,” but Laugavegurinn is so much more. Expansive glaciers, active volcanoes, emerald green valleys, and technicolor mountains are also in play along Iceland’s most storied footpath. In fact, the diverse landscape seems to drastically change every few miles, part of the remote island’s fairytale appeal. Six huts en route make camping easy, and backpacking highly efficient. 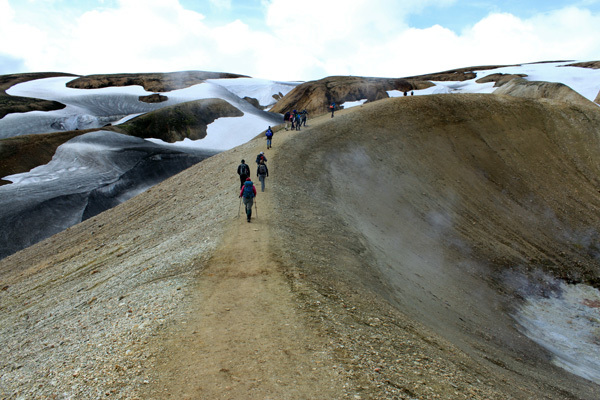 Insider Tip: This trail is also referred to as Laugavegur, named after the main artery in the capital city of Reykjavik — a local joke regarding the popularity of the trail. Rest assured that the Icelandic perception of heavy traffic does not necessarily reflect reality. Bernese Overland trails, A network of seemingly infinite trails in the Bernese Oberland (Bernese Highlands) area of Switzerland, these pastoral paths are some of Europe’s most lauded. 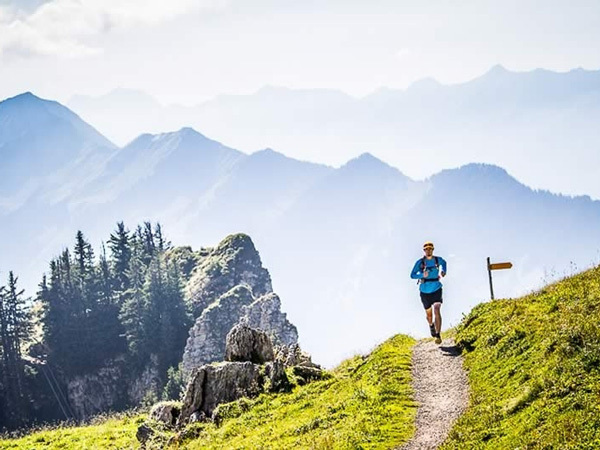 The trails traverse the vibrant green foothills of the Swiss Alps, encircling the stark granite peaks of Eiger, MÃ¶nch, and Jungfrau. Expect to see waterfalls, glacier-carved mountains, wildflower meadows, and what very well may be the happiest and handsomest cows on earth. 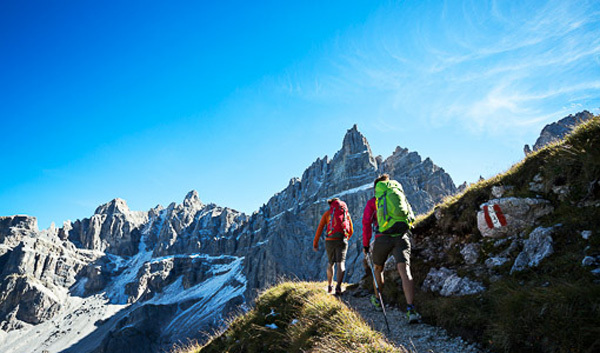 Hikers base out of one of the region’s idyllic alpine villages, like MÃ¼rren and Grindelwald, and do a series of day hikes, or link the trails together for multi-day expeditions. Insider Tip: The DIY options for hiking in the Bernese Oberland are endless, and considering that hiking is a national pastime in Switzerland, any local makes an excellent resource. 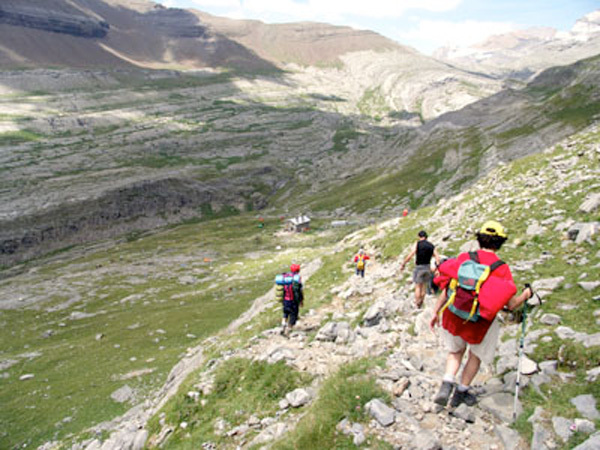 If you’re looking for more structure, or a guide, try one of trekking specialist Ryder-Walker’s multi-day itineraries. Slovenian Mountain Trail, Since 1953, the Slovenian Mountain Trail has linked Slovenia’s vertiginous ranges: Pohorje, Julian Alps, Kamnik-Savinja Alps, and Karavanke, including Triglav — the country’s highest peak at 9,396 feet. Beginning in the alpine town of Maribor, the long-distance trail traces mountain ridges, peaks, and valleys, leading hikers through the Pannonian plains, across plateaus and hills, and eventually through rolling Mediterranean vineyards before ending in the coastal village of Ankaran. More than 50 huts and nearly 80 checkpoints line the well-maintained trail, not to mention two museums. Inside Tip: The Slovenian Alpine Association created a passport-type booklet for hikers to collect stamps at the checkpoints and huts en route. 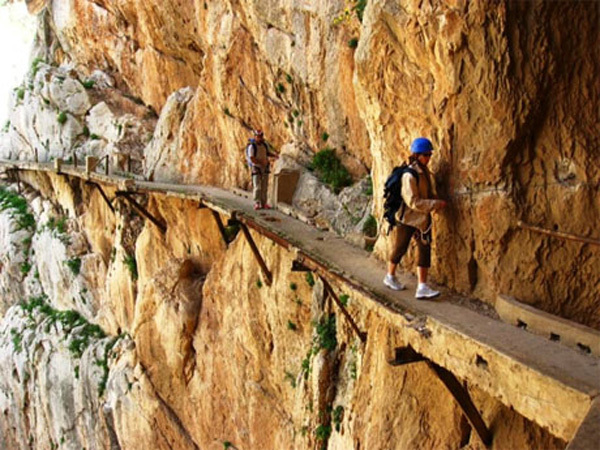 El Camino del Rey, Originally an ancient Roman trade route, and later, a Christian pilgrimage, El Camino del Rey is Spain’s most famous long-distance hiking trail. There are several starting points, but the end is always Santiago de Compostela, a cathedral in northern Spain believed to hold the remains of St. James. The most scenic route, dubbed The French Way, begins in France, at the river town of Saint-Jean-Pied-de-Port located five miles from the Spanish border, and crosses through the mighty Pyrenees into the hilly Galician countryside. With ample accommodations, villages, and restaurants en route, hikers don’t need to bring much more than a daypack. Inside Tip: For an abbreviated version, follow The English Way, named for pilgrims arriving to Spain by ship from England. Start at the seaport town of A CoruÃ±a and hike 45 miles south to the cathedral. 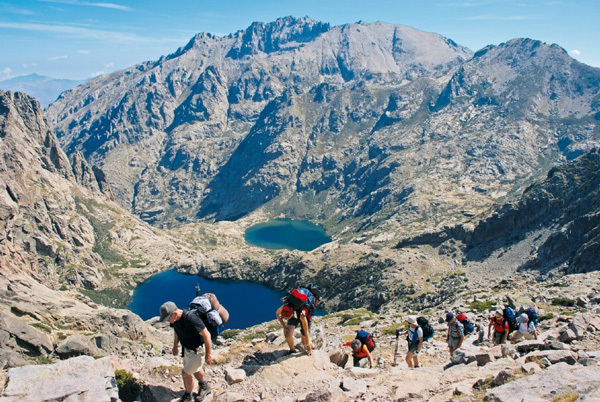 GR 20, Considered the toughest of Europe’s grande randonnÃ©es, or big treks, GR 20 traverses the steep mountains of the Mediterranean island of Corsica. The trail is often rocky, with one section so steep that permanent chains have been bolted into to the rock to help hikers negotiate the terrain. The payoff is the views — from looking down on turquoise glacial lakes to catching glimpses of the dramatic coastline through towering spires. The trail is neatly divided into 15 segments (designed to be hiked in a day), each starting and ending with a large hut maintained by Regional Natural Park of Corsica. Insider Tip: The trail is well marked with piles of rocks, as well as red and white rectangles, which appear on trees and rocks. But because there are many offshoots and feeder paths, it’s a good idea to carry a trail map. 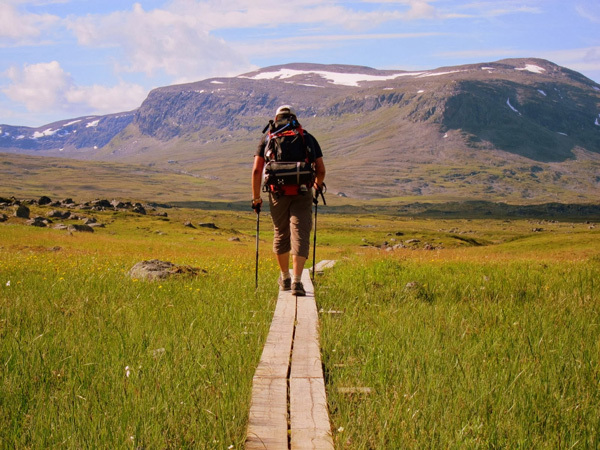 Knivskjellodden, It’s not the length of this hike that makes it epic, or even the terrain. It’s the seclusion — and the fact that you’re walking to the northernmost point of mainland Europe. 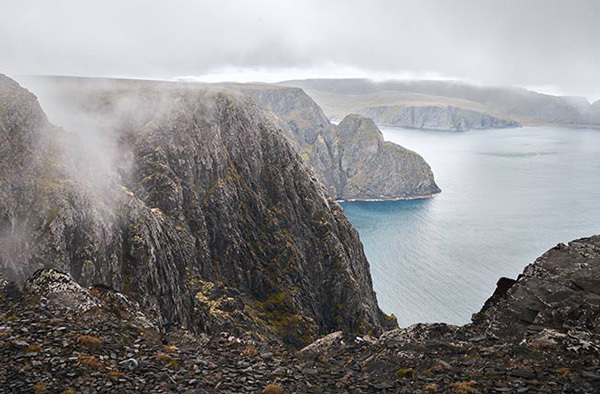 North Cape (Nordkapp) is mistakenly attributed that honor, but there’s a remote, rocky trail to the west that goes 5.6 miles further to Cape Knivskjellodden, the actual northernmost point. Bring camping gear and plan to spend the night at Knivskjellodden to maximize your time at this iconic destination. Then walk back the next morning. Insider Tip: Unless you’re planning to cross-country ski, this hike is only possible in the summer. Otherwise, the Arctic landscape is covered in snow.